The number of sealskins harvested in Nunavut has fallen by more than half since 2009, even though prices remain the same for hunters and the local demand for sealskin is at an all-time high. The number of sealskins harvested in Nunavut has fallen by more than half since the European Union banned seal products in 2009, but the reason for the drop in the harvest remains a mystery because the price paid to hunters for their furs has remained the same, and local demand for sealskins is at an all-time high. In the past, Nunavut hunters sent 8,000 skins to auction per year, but that number dropped to just 3,000 after the European Union imposed its seal ban in 2009. “We don’t really know if this reflects a decline in seal numbers or if it’s more the result of decreased hunter effort brought about by lower sealskin prices or whether there are fewer hunters pursuing seals right now, or if it’s a combination of multiple factors,” said Devin Imrie, Nunavut’s acting director of fisheries and sealing. Imrie said the EU seal ban had the effect of cutting worldwide sealskin prices in half, from about $60 a pelt to $30. However, the Nunavut government continued to pay hunters the same rates as before, between $25 and $60 a pelt. But “$60 is less money than it used to be,” Imrie said. Across Nunavut, territorial conservation officers in local wildlife offices buy sealskin pelts from hunters. The pelts are shipped to the Fur Harvesters Auction in North Bay, Ont., where they’re tanned and sold to market. This fall, the Nunavut government started buying harp seal pelts, as well as ring seal pelts, to make up for falling numbers. 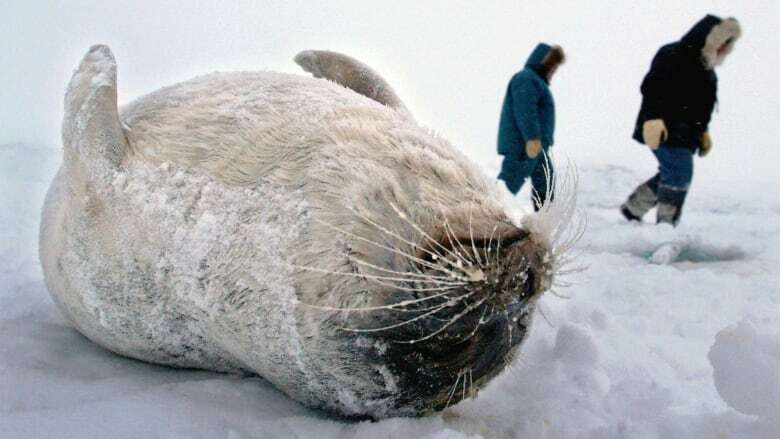 Traditionally, Inuit prefer to eat ring seals; harp seal meat was considered less tasty and generally fed to sled dogs. There is currently no population data on ring seals in Nunavut, though hunters have reported lower numbers. Ring seal populations, Imrie said, are notoriously difficult to calculate because the animals spend so much time in or under ice and aren’t easy to spot by air. The harp seal population shared by Nunavut and Newfoundland is now at a record high of nine million animals, in part because of the decline in the East Coast seal hunt. The majority of those seals spend the summers in Baffin Bay and Davis Strait, which means seal hunters in the southeastern Baffin communities are seeing plenty of harp seals. This pair of sealskin 'kamiks' is for sale on Facebook for $450, but the price is likely to go even higher. (Jas Iqqaat/Facebook)The decline in sealskin harvesting comes at a time when demand for sealskins in Nunavut is at an all-time high. Last year, the government of Nunavut sold 2,000 tanned, locally harvested sealskins back to Nunavummiut, but seamstresses and artisans are still calling for more. 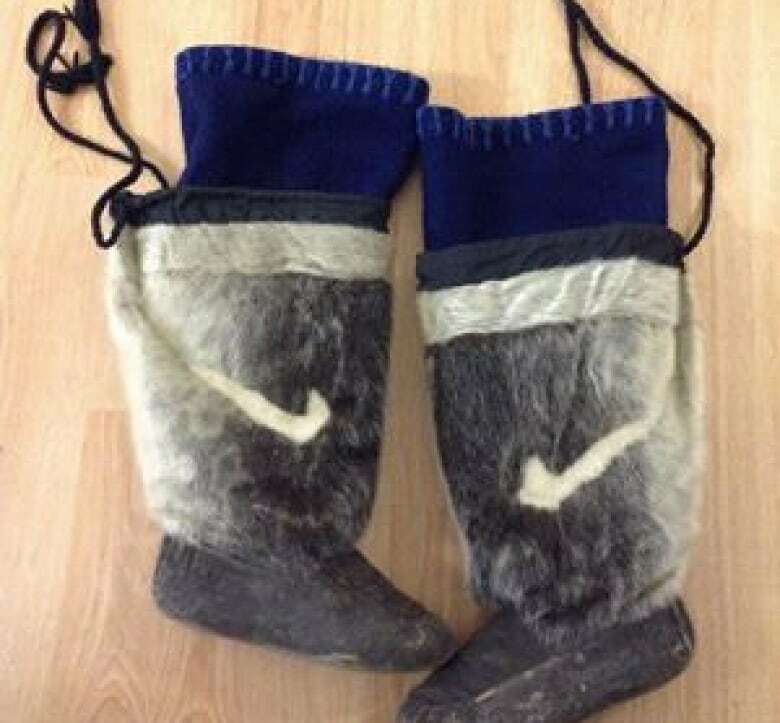 A pair of handmade sealskins boots, known as kamiks, can sell for hundreds of dollars on Facebook. Fur mitts, coats, vests and jackets are also in demand, and workshops to learn traditional sewing are popular. Imrie said the government recognizes and supports the arts and crafts industry, but the government's overall marketing strategy calls for reserving at least one third of the overall sealskin hunt to sell outside of Nunavut, to ensure that the wider market for skins continues to exist. That means that if Nunavummiut want more sealskins, they’ll have to harvest more. “We’re really only limited by the number of sealskins we’re actually purchasing,” Imrie said. People who live in Nunavut can order tanned sealskins, at cost, from the Fur Harvester’s Auction in Thunder Bay, Ont. The Nunavut government picks up the tab for shipping. The government also offers tanned and dyed sealskins at cost to local businesses, sewing groups and other organizations. Meanwhile, Nunavut residents took in over $1 million a year in the last two years from the sale of other furs. Those are the two highest grossing years on record for Nunavut hunters and trappers. “The demand for foxes, wolves, wolverines, and polar bears is exceptionally high right now and we expect that to continue,” Imrie said. Conservation officers buy fur pelts from harvesters in all Nunavut communities. In some cases, they forward part of the proceeds to the hunter on the spot, reimbursing the remainder of the purchase prices once the fur is sold at auction.